The headboard is covered with fabric or quilted leather. The niche at the top is lined with braided ecopelle. The sides and bed turn are varnished wood, matte or glossy version. The side panels contain drawers in varnished wood (matt or gloss) and the niche contains LED lights and switches. An option with bronze reading lamp is available. 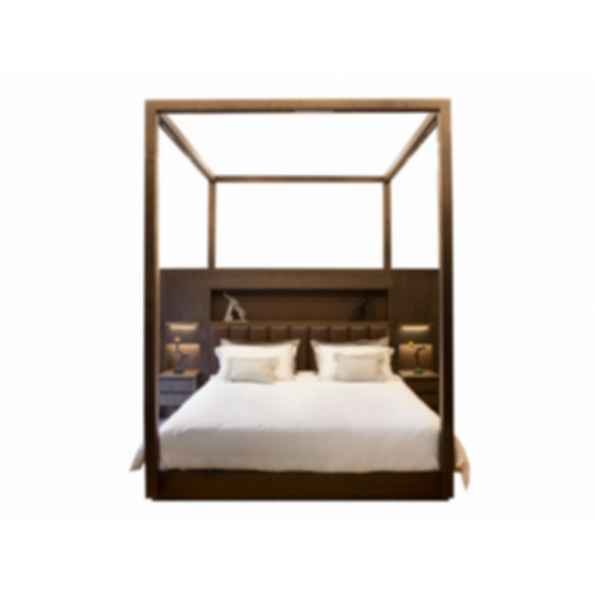 The canopy bed has a matt or gloss varnished wood structure and sheer curtains are available at an additional cost. It also exists in a total height of 220 cm.